When Spring and Summer hit — and you get that Boho kind of feeling — one easy and chic look is a denim jacket over a maxi dress. This is a known favorite celeb look, with Alessandra Ambrosio, Krysten Ritter, and Kristen Cavallari all rocking it. Whether you want to keep things really casual like Alessandra and rock an oversized denim jacket or you want something more sleek and opt for a fitted one, one thing is certain and that’s the fact it will be on trend. Let’s check out the best ways to wear it. I’m a huge fan of floral myself and think pastel floral maxi dresses look amazing with a light blue denim jacket, but so can a geometric, subtle print with a darker blue. The combinations you can create are endless and teamed with accessories, it can always look fresh each time. A little bit different choice here — more of a split between a romper and a maxi dress — I love the neckline details and pattern on this dress. This Amanda Uprichard dress is a billowy, tropical piece to wear from resort vacations to backyard BBQs. Forever feminine and flattering, a sweetheart neckline gives this floral maxi dress a romantic finish. 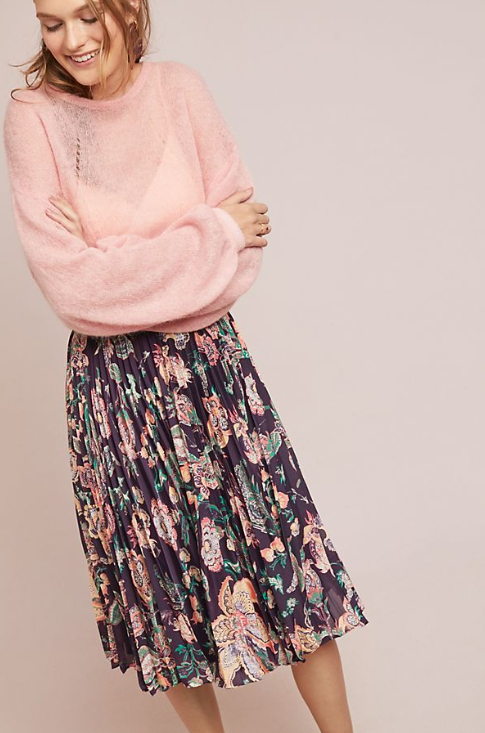 When it comes to maxi skirts, you can wear a cropped boho top then a low slung skirt, or if you prefer not to show skin and want to cover up more, tuck a tight tank top into your maxi skirt and throw a belt around your waist. This will create the illusion of a two tone maxi dress and look fantastic as well! You can even go for a double denim combo and choose a denim skirt. Just make sure you keep both washes different and break it up with a lot of pieces. You want to stay away from the Britney/Justin territory. I love the purple and pink of this photo. 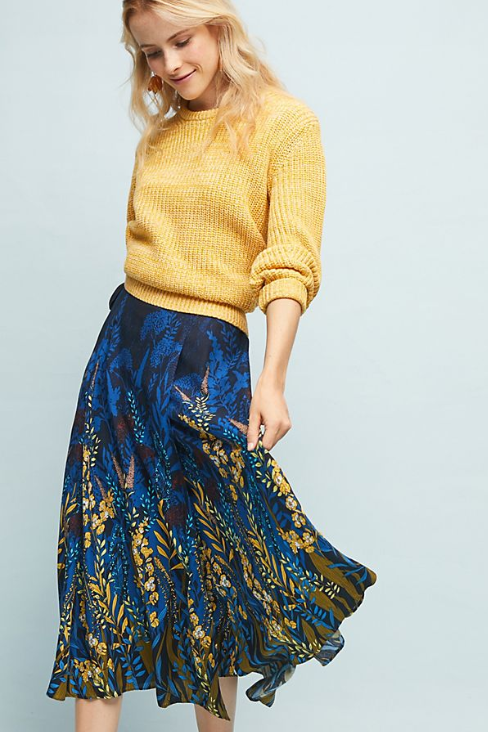 The skirt itself would be perfect in the fall. The perfect summertime skirt, I can imagine wearing this to a luau. And finally, here are 5 denim jackets that are perfect for this trend! A darker to mid washed, fitted blue first. A classic mid blue Levi’s jacket second. A light blue, sandy toned denim jacket third. An oversized bleached out blue fourth and then a cropped bleached light blue last. All of these are suited to the different colors in dresses and skirts that you might be going for and will be perfect in their own way. Borrowed from him, re-imagined for you. This new Trucker Jacket is bigger, longer and looser than Levi’s traditional boyfriend fit. It’s designed with an extra-relaxed silhouette and elongated hem to create the oversized look. Wear it over anything for instant, easy edge. An essential denim jacket is styled with iconic detailing, including chest flap pockets and shank-style buttons.